Vagus nerve stimulation (VNS) started as a novel treatment for epilepsy, but now it has grown to have numerous applications and indications across a broad range of conditions. These include depression, anxiety, IBD, gut permeability, migraine and much more. Find out more about Vagal Nerve Stimulation in this recent podcast with Emrys on FX Medicine. Treatment with VNS has been demonstrated as safe and provides clinically meaningful decreases in the frequency, intensity, and duration of migraine attacks in patients with treatment-refractory migraine. Improvements in migraine-associated disability, depression, and sleep quality were also noted. 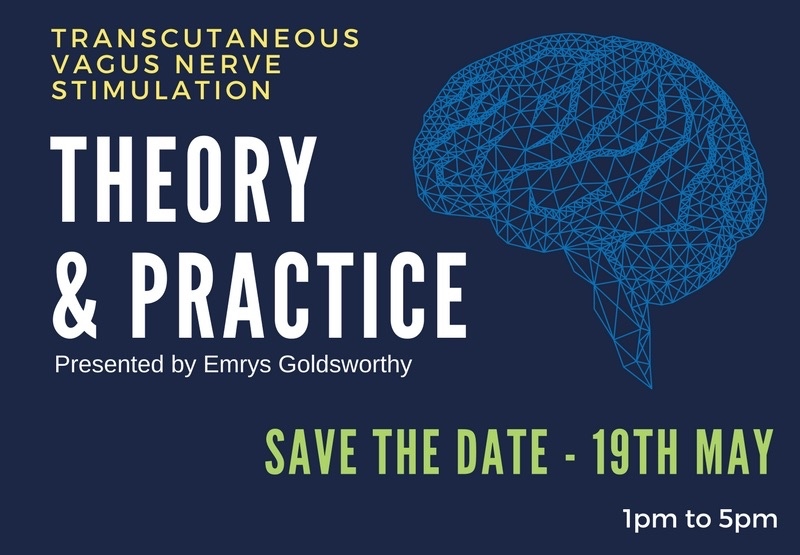 This seminar will cover the most important aspects of VNS including the basic anatomy and functions of the vagus nerve, the neurochemistry of VNS, how to apply transcutaneous auricular and cervical VNS and the research demonstrates the effectiveness of VNS. This course is open to qualified myotherapists, musculoskeletal therapists, chiropractors, osteopaths, dentists, naturopaths or other health science degree qualified practitioner. Please contact us for further information to see if this course will be suitable for you. **Remember, this course includes the application of TENS, so if the attendee would like to use the techniques they will need to see if they are covered by insurance.